We recently welcomed our new Chief Nurse to St Gemma’s. Heather McClelland is an experienced nurse with strong clinical and professional skills and a passion for delivering quality and improvement. 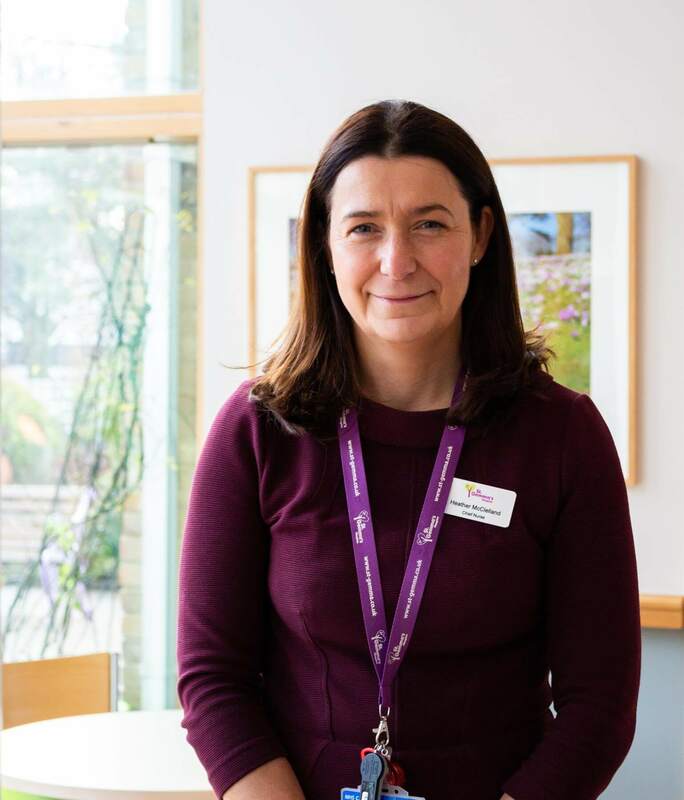 “Having worked in healthcare roles across Leeds for many years, I was already familiar with St Gemma’s and its marvellous reputation in the city and beyond. Needless to say I am now very pleased to be part of the Hospice Leadership Team as Chief Nurse. It has been a pleasure to meet with the team, both those ‘on the front line’ and behind the scenes. I’m privileged to be leading a team of committed, skilled and hard-working staff, supported by an army of dedicated volunteers, providing outstanding care and support. 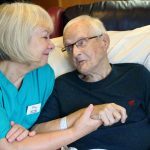 As well as doing our best to provide outstanding care for patients and those around them, we appreciate how all the ‘little things’ also make such a difference. In my short time at the Hospice, I’ve seen a wedding blessing for a patient’s son and a baby shower for a patient’s daughter. We have facilitated a visit to the grave of a recently bereaved patient, a final trip home, a trip to watch the football, a trip to a music concert and we’ve even arranged a personal message to a patient from a celebrity. 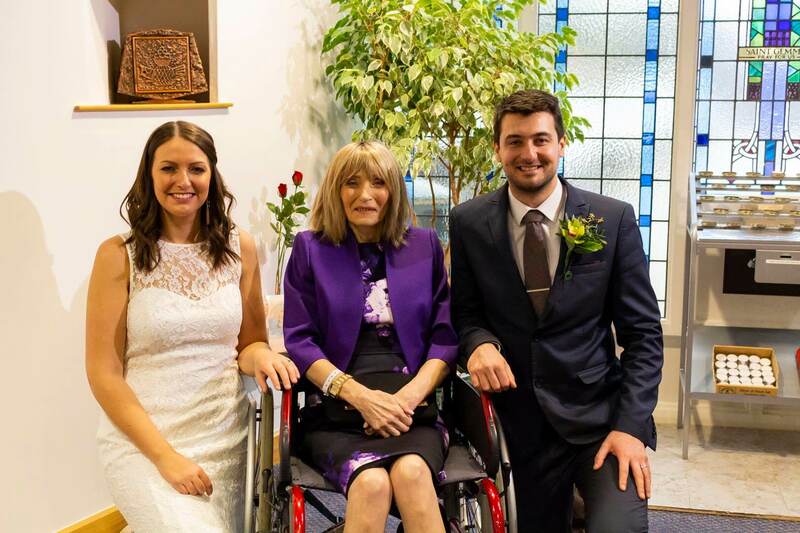 Pictured here are Lucy and Richard, celebrating their wedding blessing at the Hospice together with Richard’s mum, Maria. Maria was an in-patient at St Gemma’s and has sadly since died; we are grateful to the family for allowing us to share their story. If you’re interested in joining our team at St Gemma’s, visit www.st-gemma.co.uk/vacancies to find out more. Visit www.st-gemma.co.uk/HLT to meet the full Hospice Leadership Team.